Very rare long ferrule from Universal. 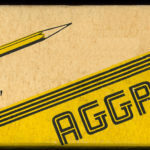 An American pencil brand based in San Leandro, CA. Know anything else about them? Do tell.